Chris witnesses the phenomenon that is Overwatch first-hand at Blizzard's annual celebration-con in Anaheim, California. 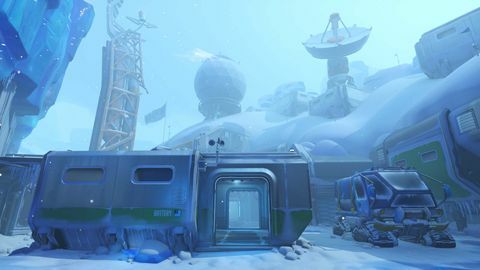 In the six months since its release, Overwatch has quickly risen to superpower status in the competitive shooter genre, eclipsing many established titles, and catapulting itself to the front of the Blizzard library. Nowhere was this more obvious than at BlizzCon 2016. Traditionally, BlizzCon has been a love letter to Warcraft, the game most easily represented in cosplay and various fan tributes. This year, things were different. For every Horde, Burning Legion, or Alliance cosplayer, there was a Reaper, Tracer, Widowmaker, or Reinhardt. 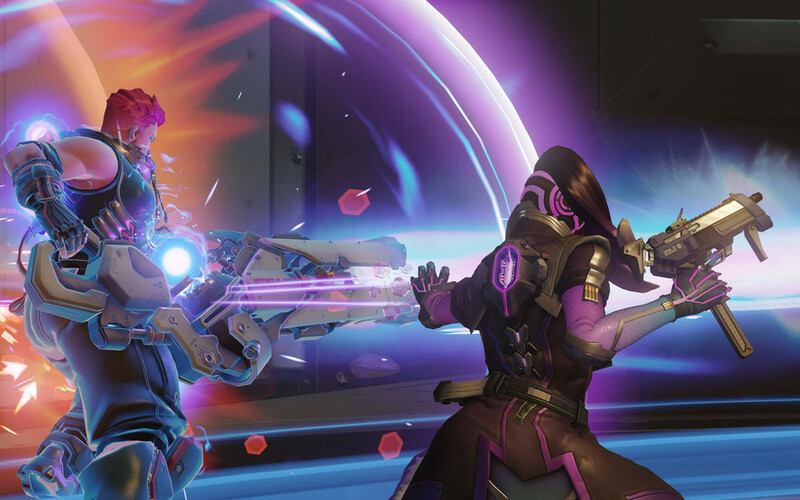 Even Overwatch's then-unannounced newest addition, Sombra, could be seen walking the floor. The size of the game's fan base and its level of engagement was made even clearer when her character was officially confirmed during the opening ceremony. The explosive response from the crowd was easily the biggest fan reaction of the convention, with only the various championship finals coming even remotely close. While Overwatch's success was in some ways almost assured (Blizzard's first FPS was always going to command attention), its meteoric rise to 20 million players still came as a surprise – even to those in the development team. "When we announced at BlizzCon in 2014, I think it was only a couple of hours and we saw fan art already going up on the walls," said producer Skye Chandler. "We had people in costumes the next day. I really think a lot of it was the designers' vision. They brought this bright hopeful universe out to our players that has not been pushed out to players recently – or ever, really – at least not in this space. Shipping internationally on console and PC meant Blizzard needed to be prepared infrastructure-wise, too. "We had to be prepared for a lot of success obviously, but at the same time you can never expect it," said principal designer Scott Mercer. "The response has been more than phenomenal." I had plenty of opportunities to walk the BlizzCon floor during the two-day event, and Overwatch was the talk of the convention. 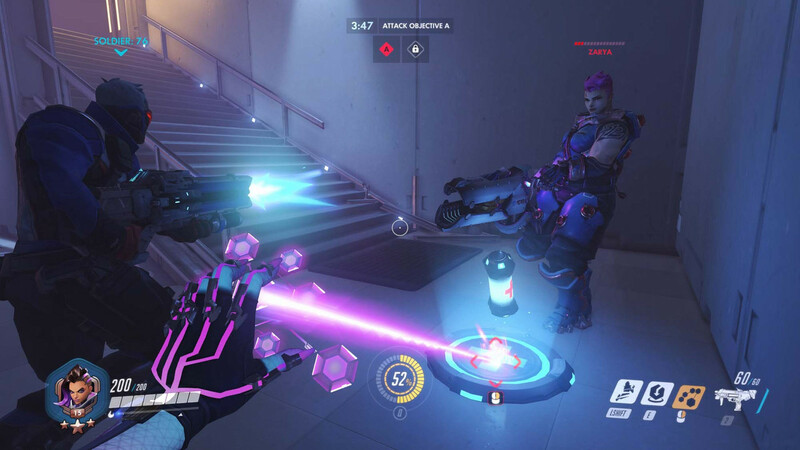 There was speculation about newcomer Sombra, the Arcade, upcoming patches, and even who people were currently "maining". Every time I encountered a pocket of convention goers, the talk was invariably about Overwatch. Even outside the convention center, the game was drawing crowds with some of the most elaborate cosplays I have ever seen. Chief among these were the massive Reinhardt's, but he was hardly alone. Sombra, Reaper, Mercy, D'VA, Tracer, and others were all generating their own queues. Other cosplayers were seeing a lot of love, but not to the same degree for the most part. BlizzCon 2016 really was the Overwatch show. Some of the attention the game saw can be put down to its newness, but the talk of the con really came down to two things: Sombra, and the Overwatch League. Sombra was expected. Her long tease and lead-in had caused consternation and anticipation in seemingly equal measure among the crowd, and the consensus is that she is a very welcome addition to the game. 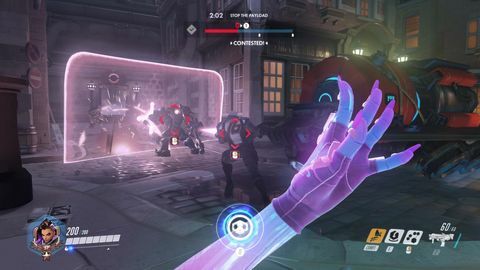 Her invisibility and teleportation abilities are already seeing new playstyles being used in the game, and hacking enemy skills making them temporarily useless has opened several new strategies that everyone was keen to try out. However, Sombra really was just the appetiser. The really big news out of BlizzCon was the announcement of the Overwatch League, and that's not just because of the impact it will have on the game itself, but how it will likely influence professional esports as a whole. As in professional sports, players in the League will be paid a minimum salary, enjoy a benefits package, and work under a contract that ensures a level of stability not yet seen in the esports space. These alone are game changers, but its only part of a bigger picture when the league launches in the third quarter of 2017. A key focus of the League is in building permanent local teams that Blizzard hopes will attract a groundswell of support akin to professional or semi-professional sports teams. The finer details are still not yet known, but what Blizzard is looking for is regional or city teams to compete on an international stage, with an established support structure and schedule managed by Blizzard itself. Player recruitment will start at the beginning of a season with a Blizzard hosted Combine. This is where players that have already proven their skills will be invited to demonstrate their abilities to owners and coaches in the hopes of being drafted. Drafted teams then will compete over the season, with matches streamed live, and highlights and features made available to view in-between match days. This all culminates in the Championship Run, where the top teams battle it out for the title of Overwatch League World Champions. The finals are likely to be held at BlizzCon. Could we see the Auckland Augmented or Wellington Warbots facing off against teams from across the globe? Potentially, but such things require investors. Every team must have an owner, and that may be the League's biggest hurdle – especially Down Under. Initial overheads will likely be very high, and finding someone willing to invest that amount of capital could be a struggle. As big as esports has become, there is still a lot of resistance or outright dismissal of its value in the wider marketplace. That said, Overwatch was made with esports in mind: its distinct characters, lack of loadouts, and simple objectives made it easy to learn and understand. It doesn't yet have the spectating tools of something like Counter-Strike: Global Offensive, but the first Overwatch World Cup at Blizzcon was watched by more than 100,000 people anyway. 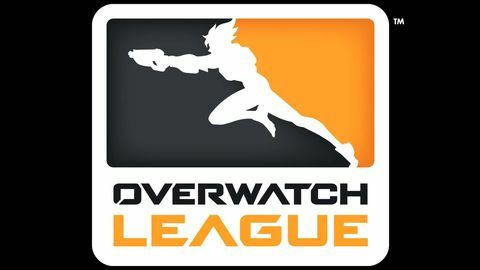 The Overwatch League has great potential, and could provide real opportunities for skilled players to build sustainable long term careers. Only time will tell if Blizzard's lofty ideas come to fruition, and even then, there will be a lot of questions about the league's sustainability, and how smaller or less affluent regions will be supported. Regardless, it's a brave and exciting first step in what will likely be a very long journey to legitimizing esports with the non-gaming world.